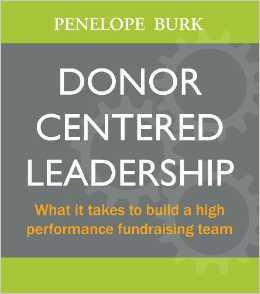 I’ve been a huge fan of Penelope Burk since I first heard her speak not long after I arrived in the Canadian fundraising world. She was presenting to the Toronto AFP chapter her research on thanking donors and the impact of gratitude on donor retention (which became the landmark book, “Donor Centered Fundraising“). One out of every two donors who made charitable gifts in 2011 said they could have given more, but that they held back, waiting for nonprofits to get it right. If that isn’t enough to make you sit up and evaluate the importance of good leadership, reduced turn over, and a strengthened profession, I don’t know what will. And, if you think this is a book only addresses hiring and retaining fundraisers, you are in for a surprise. Through five years of research with more than 12,000 fundraisers, leadership volunteers and donors, Penelope dives into the real (seen and hidden) costs of staff turnover (or the desire for greater career mobility and/or compensation), the change in the fundraising landscape (“unfortunately the fundraising system that is in place today is better at making money than profit”), and how to attract, hire and hold on to good great talent (oodles of smart advice, including internal promotions, succession planning and keeping good talent engaged and happy). This book will add to your understanding of the current issues (some call it a crisis) facing our profession, it will help you learn where to focus your energies in your daily work and strategic planning and help you to create a better team. In the donor-centered model, there is no longer an expectation that heavy volume will drive fundraising success. Rather, the Donor-Centered Fundraising Plan relies on brilliant and compelling cases for support and excellent donor-centered stewardship to inspire more donors to stay loyal , give more generously, and equally important, evolve into the hands of the major gifts officers sooner. I believe we need to have conversations about the “scarcity mindset” (both within our nonprofit shops when we don’t share donors and within our communities) and the “organization-centered mindset” (when communications and thanks is really only about the nonprofit) and how they are not benefiting donors (and driving donors away). … four out of five donors we studied said that public recognition influenced neither gift value nor retention…. considering the time and budget resources that Development offices apply to formal donor recognition, this was a shocking revelation. At the same time, donors lamented the sluggish issuing and poor quality of thank you letters, and emphasized how the rare examples of great ones influenced them to give again and give more. While Development Directors were assigning up to 30% of their stewardship budgets to public recognition, they were spending almost nothing on lowly thank-you letters, not realizing that it was the latter that truly shaped donors’ perceptions. One of the interesting things she discusses is the overtime culture (read a great op-ed piece on “The ‘Busy’ Trap” by Tim Kreider). Her cues that staff are meeting for the sake of meeting, her views on the tendency towards over reporting, the scourge of email, and why overtime is wasted. Penelope also points out that donors want to meet with and speak to interesting people. If you have no outside interests, no hobbies, family, volunteer service, faith, reading, pastime… then what, pray tell, will you talk about with these donors while you are working to engage them from an interesting and authentic place? But you are leading your donor on an important journey for at least some portion of their philanthropic life. You are the matchmaker, the dream catcher, the one who helps the donor spot his or her legacy through the spyglass. And like any good leader, you need to put the follower front and center, guide and encourage them. That is exactly why we need donor centered leadership and why you should be the best donor-centered leader you can be. Great post, Beth! A copy of Penelope’s Thanks! A Guide to Donor-Centred Fundraising is on my desk this very moment. Her insightful research elevates the discourse in our field so I’m looking forward to her latest. Lately, I’ve been asked to “lean in” and “lead from behind” at my org. I think every non-profit staff member could take steps to both empower others and feel empowered from within. It’s our role to marry passionate dollars to worthwhile causes. And that’s empowering. I agree Preeti. We all can “do our part” to be leaders (and quiet leadership counts as much as extroverted leadership) and leading by example is actually the best… how we treat donors, colleagues and volunteers is but a small part of that. 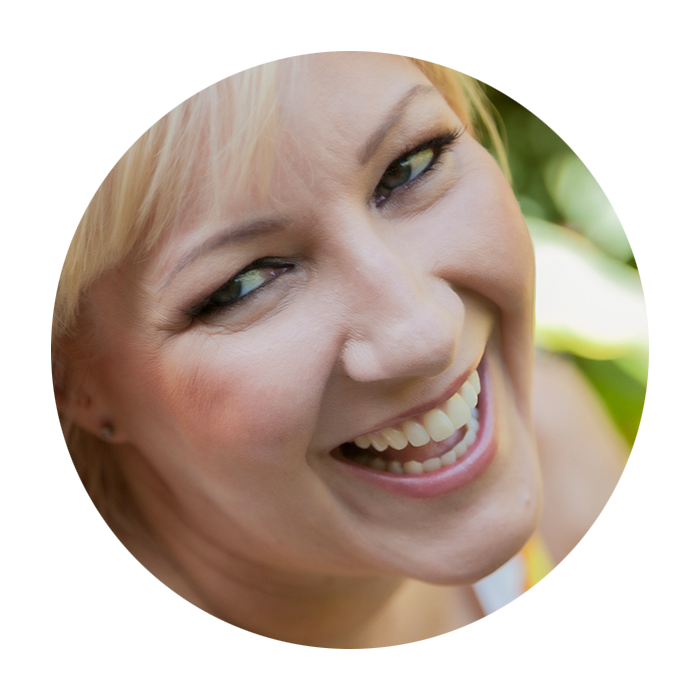 Isn’t our job all about empowerment… empowering donors to seize their own dreams?